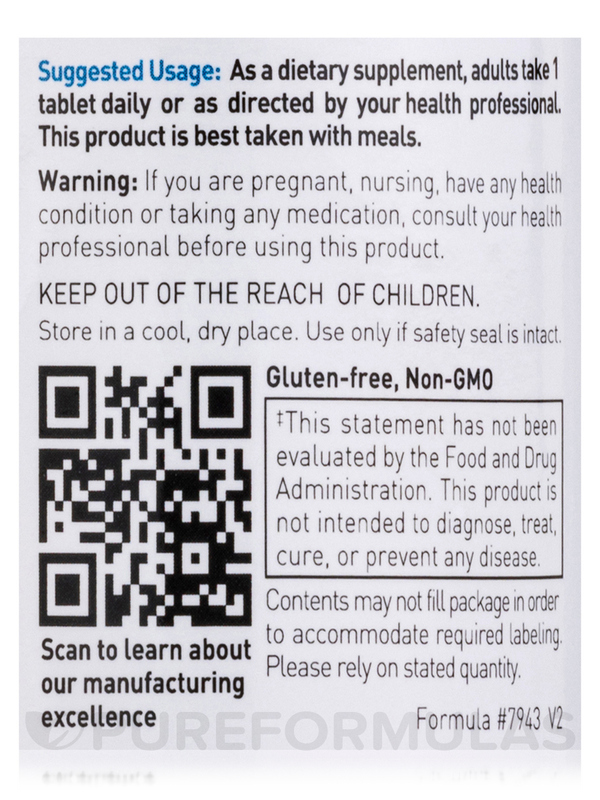 My wife and I have both been taking B-6 100 mg by Douglas Laboratories under the advisement of her chiropractor. 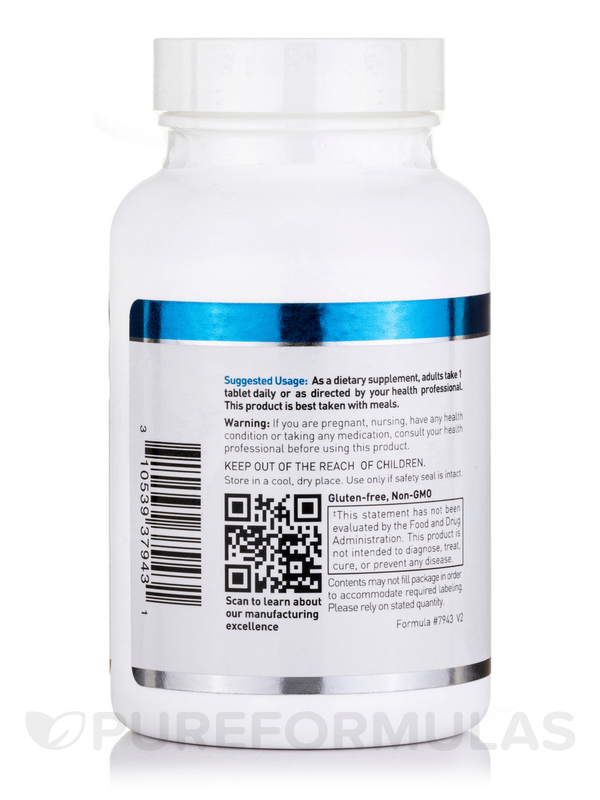 We both feel that B-6 100 mg has contributed to relief from joint and arthritus pain as a result of taking B-6 100 mg.
Vitamin B6 is an important nutrient that supports various areas of our health. 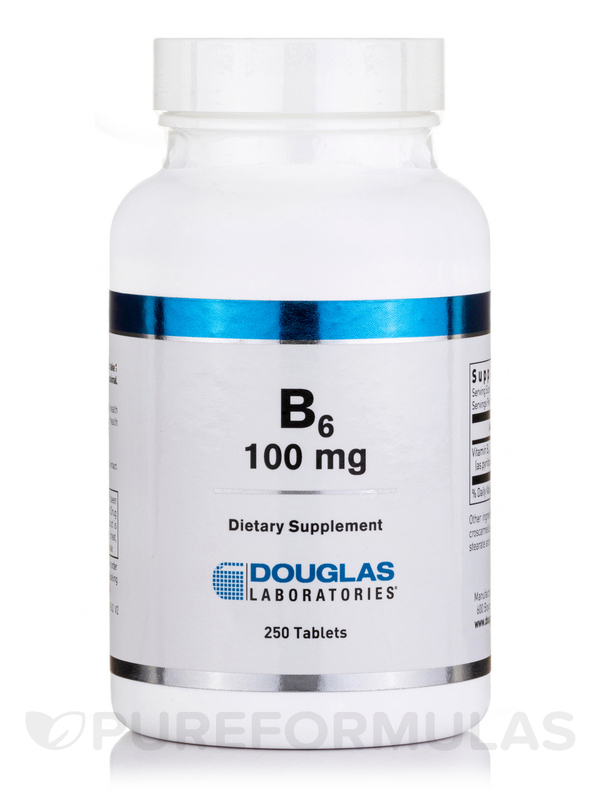 Douglas Labs is proud to offer their B-6 Tablets for quick and convenient supplementation of this essential vitamin. Want to know more? 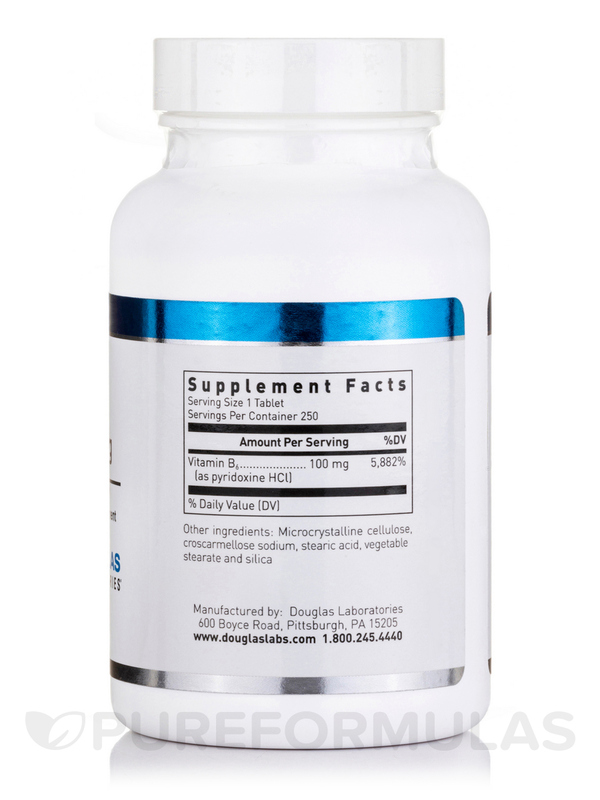 Douglas Labs’ B-6 Tablets contain 100 mg of vitamin B6 in each serving. Vitamin B6 is also known as pyridoxine. It is often used to potentially regulate and promote healthy levels of hemoglobin in the blood. When hemoglobin levels fall too low the body begins to experience the negative symptoms of anemia. Hemoglobin is responsible for transporting oxygen throughout the bloodstream‚ so an adequate supply is crucial to our health. Vitamin B6 also takes part in the synthesis of important neurotransmitters like norepinephrine and dopamine. These neurotransmitters serve as some of the primary methods of communication between our neurons‚ so it’s crucial that the nervous system maintains proper production. 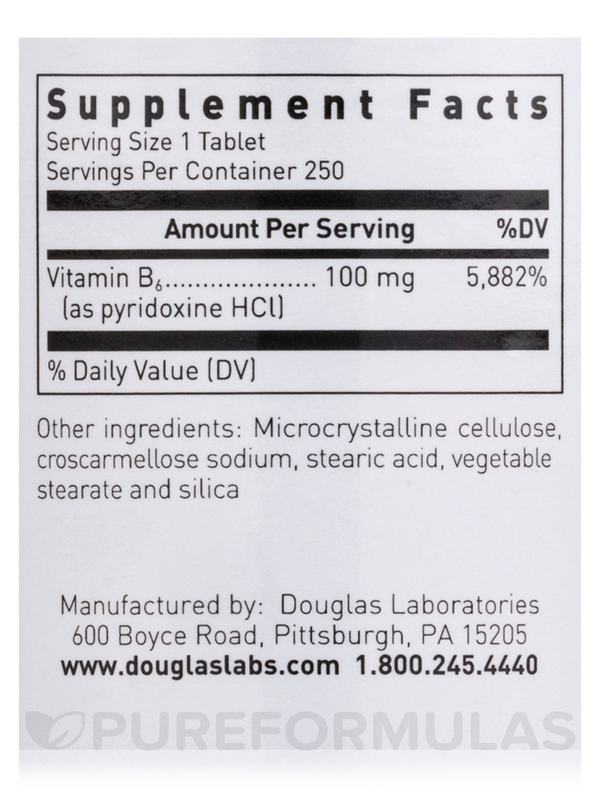 Douglas Labs’ B-6 Tablets may help support these areas of your health and more with an adequate daily serving of vitamin B6. 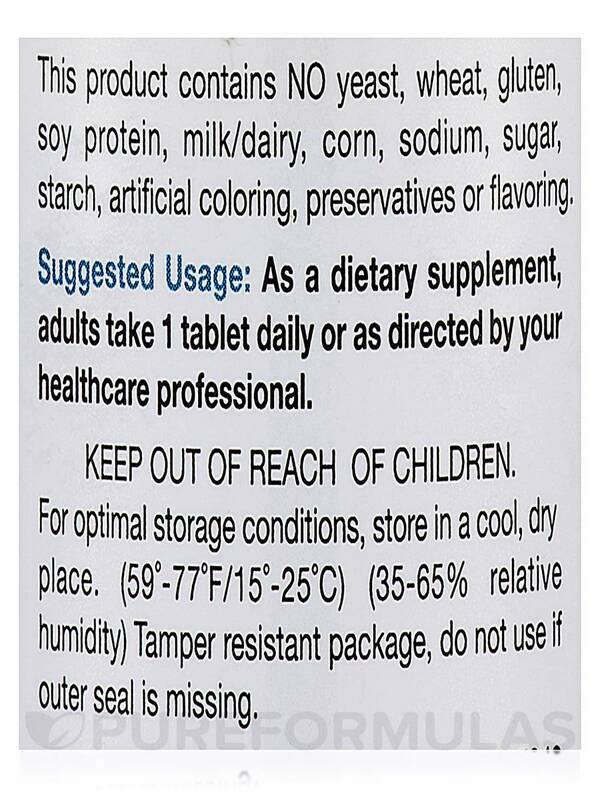 This high quality supplement from Douglas Labs contains NO gluten‚ soy‚ corn‚ dairy‚ sugars‚ or preservatives. Order today!